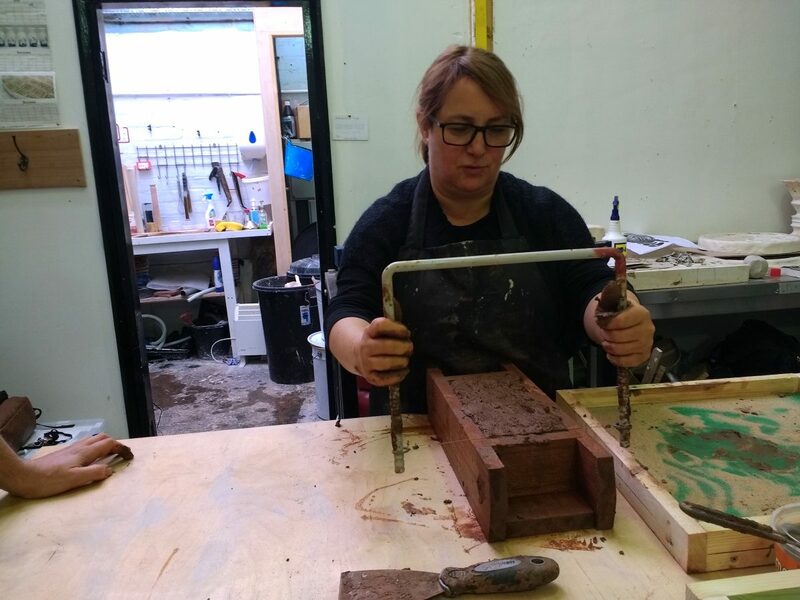 In the lead up to Mark Essen’s solo show Build A Wall, ESP members had the opportunity to take part in the production of Mark’s artwork through a brick making workshop. 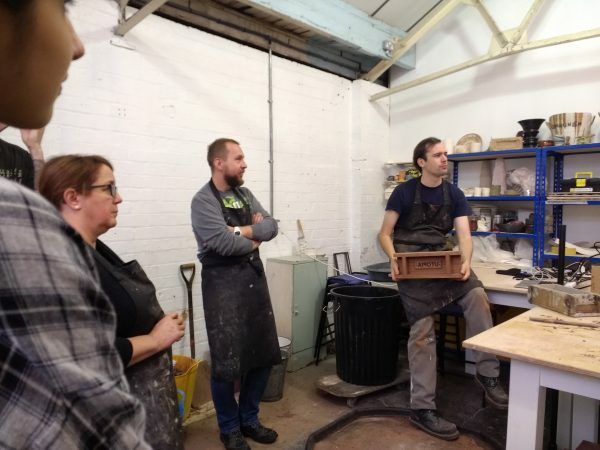 The workshop took place in Mark’s ceramic studio Modern Clay and gave ESP members an insight into the exhibition’s production, whilst learning practical brick making skills. 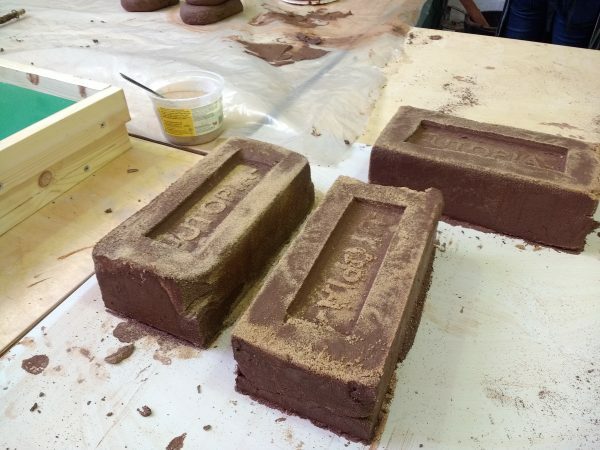 Mark Essen is working with homeless and refugee communities in Birmingham in his studio, Modern Clay. 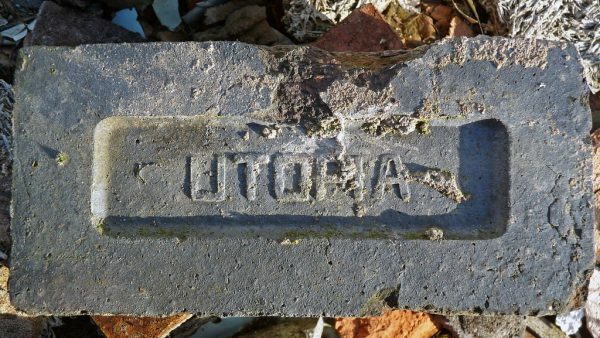 Both groups often talk about barriers in their lives, invisible walls constructed by governments, maintained by factions of society and the media, prohibiting them from being part of wider society. 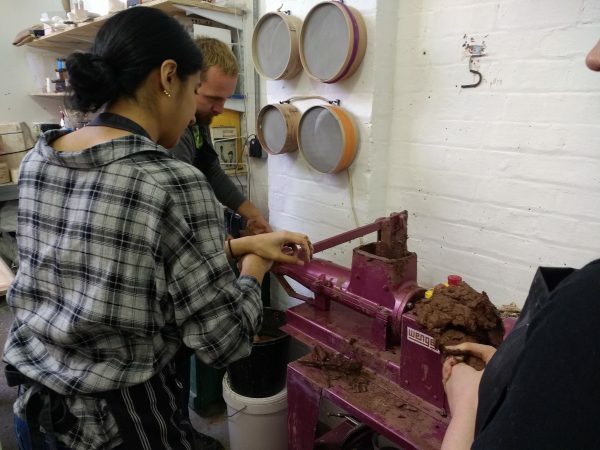 Mark is learning with these groups how to make bricks which will then be used to build a wall in Eastside Projects with a local social enterprise building company, as part of his 3-Phase project which opens on 7 December.